Have questions or need more info? Submit this form and a Dot Transportation recruiter will contact you! Employees at our Mt. Sterling-based corporate headquarters enjoy perks such as a top-notch driver lounge, a beautiful campus, a nearby family health center and YMCA, plus discounts at Dorothy’s Market. Our award-winning transportation staff look forward to working with you. Welcome to Driven, the official blog of Dot Transportation. If you’ve been following us for a while, things might start to look a bit different around here. Rest assured, you’ll still get updates about Dot Transportation, and hear about the latest job openings with us. But, we’ve added a bit that we hope will inspire and educate you along your way. And we want to hear from you most of all. So let us know what you’re thinking by commenting, sending us a message, or emailing info@drivefordot.com. 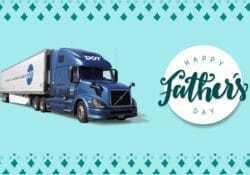 Whether you’re celebrating Father’s Day at home or on the road, we at Drive for Dot have compiled five tips for staying connected with your family when you are away. How do you stay connected when you are away? We want to hear from you! 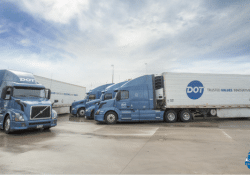 © 2013-2018 Dot Transportation, Inc.